Emily Brooks is just an unremarkable girl living a boring existence—she teaches kindergarten, has a small house on the north end of Tampa, and tries not to envy her sister’s perfect life. 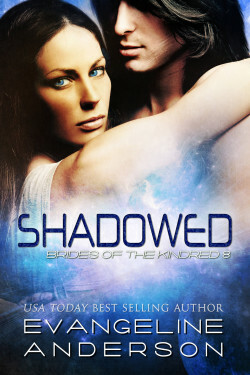 But Emily holds a remarkable secret within—one that won’t stay hidden much longer. She is about to become something and someone completely different—that is, if she lives long enough to undergo the transformation. Tragar is a Beast Kindred with tragedy in his past. Pain and loss have driven him from the Kindred way of life and into a new career—that of a deadly Verrak assassin. The Verrak take an oath to kill every target they contract for or die trying. Now Emily is in his crosshairs but the moment he gets close enough to her, his sharp Kindred senses tell him something is different about this particular target. Emily is a Khalla—a rare female who some say embody the essence of the Goddess herself. She is a treasure beyond compare. Tragar is well aware that his own choices have left him unfit to serve her but at least he can protect her until he can find someone worthy on his home planet of Rageron. But there are dark forces in their way. Tragar’s oath to kill can not be broken lightly. And there is a shadowy figure rising from the darkness who wishes to claim Emily’s life. Can the fallen warrior guide and protect Emily to the place she truly belongs? Or will he die trying? 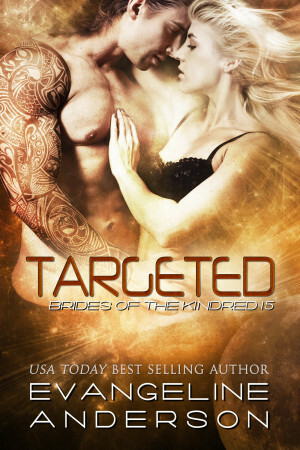 You’ll have to read Targeted to find out. Emily Brooks gasped as a flash of heat swept over her body. It started in her lower pelvis and rolled outward, like flames licking her skin from the inside out, stealing her breath and making every inch of her tingle with unwanted heat. Oh God, ohGodohGod…No, please—not this—not this again! Her hands clenched into fists at her sides and her toes curled in her sensible low heeled shoes. The shapeless cotton dress she wore was suddenly too hot—sticking to her full-figured body with the dew of sweat that bloomed across her flushed skin. The hair at the nape of her neck was prickling with tension and her eyes burned. Not like she’d gotten soap in them, though—they burned as if there was some strange heat source behind them. As though there was a flame inside her brain that was burning its way out. “Class!” Taking a deep breath, Emily forced herself to forget about what was happening inside her and concentrate on the kindergarten class under her care at George Washington Elementary. Her stress must have come through in her voice, because all fifteen of her kids got suddenly quiet and looked at her with large eyes. Oh God, what do they see? Do they see what I see when I look in the mirror? Emily took a deep breath…then another. Calm, she had to be calm. It was only 9:30 and she had to make it until 2:15 when the bell rang for dismissal. Emily did her best to smile at the little boy who was the class clown but so endearing you couldn’t help but love him. “You don’t look fine,” Kelsey Pincter remarked. Like a jack-o-lantern… Emily took another deep breath. Emily tried to smile. Normally her class was the light of her life—she loved kids and since she was never going to have any of her own, being a kindergarten teacher was wonderful. But just now she felt shaky and hot and out of breath—like she’d just run an hour on the treadmill at the gym. Not that she could usually do more than a brisk walk for that long but still—that was the feeling she had. Avery was the line leader and he gave her a big freckle-faced grin as he followed instructions, tucking his elbows in and walking with exaggerated caution on the tips of his toes. Emily tried to return the smile as she shepherded her class, which were all doing the same thing, into the large, beautifully decorated media center. It was a warm, welcoming area with various storybook characters on the walls which had been painted by a local artist . Alice and the Mad Hatter took tea in one corner while the caterpillar looked on from his mushroom. On a far wall, Lucy was opening the door to the magical wardrobe that led to Narnia and on a another wall, a haggard looking Frodo Baggins was holding the One Ring aloft and staring up at the ominous Mount Doom, looming in the distance. This last mural was perhaps a touch dark for an elementary school library but as a confirmed Tolkien freak, Emily had always loved it. Today, however, she barely noticed it as she herded her class to the big rainbow carpet in the Alice in Wonderland corner. There, to her intense relief, she saw Mrs. Andrews, one of the parent volunteers, was sitting in the big rocking chair and waiting to read a story. Dragons Love Tacos! proclaimed the book in her hand and Emily’s class was already crowding around her. They loved story time. Mrs. Peltz, the librarian with iron gray hair and stern features, was standing behind the check out desk explaining to a fifth grader why he couldn’t check out the graphic novel he wanted since he still had two more out. Mrs. Peltz pursed her lips to a thin, pink line. “Well…” The librarian looked at her disapprovingly. “Please,” Emily begged in an undertone. Incredibly relieved, Emily left the media center by the back door at a fast walk. She breathed a sigh of relief as she got out into the chilly wind of the breezeway that connected the media center to the rest of the school. Tampa didn’t get much cold weather but it was mid January, just after the Christmas break, and the thermometer had actually dipped into the low sixties—positively frigid for Florida. The breeze swirling through the breezeway cooled and revived her, drying the sweat that had broken out across her forehead but Emily could still feel the heat building inside her. By the time she reached the faculty bathroom, located in the rear of the admin building, she was nearly shaking again. Control…she had to get control! She fumbled for the knob and let herself in, intensely relieved to see she was all alone. Stumbling to the sink, she turned on the cold tap and splashed her face with freezing water. Gasping in shock at the water’s bite, she reached blindly for a stack of the coarse, brown paper towels and blotted her cheeks and eyes. She tried not to smear what little make-up she had on but her face still looked naked when she studied herself in the mirror. Ems was her nickname—an affectionate moniker given by her big sister, Anna. No, adopted sister, Emily reminded herself. Adopted—not really blood related at all. “We decided that now was as good a time as any,” her mother had finished delicately. But Emily had understood the unspoken message. We wanted to wait until you were married but you’re past thirty and it doesn’t look like it’s going to happen any time soon. But she knew it wouldn’t. She was never going to get married and have kids of her own. It wasn’t that she was getting too old—that was silly—she knew women in their forties having their first baby. And in fact, she looked much like she had ten years ago in her early twenties. Unfortunately, that wasn’t necessarily a good thing. With a sigh, Emily stared at her reflection in the mirror. Her shoulder-length dishwater blonde hair couldn’t be more nondescript if she’d dyed it with a color called Anonymous. And her eyes were a wishy-washy blue-gray-hazel that managed to be all colors and no color at once. Her face was just all right—she had broad, almost Slavic cheekbones, and a wide, too-generous mouth with a small nose. It wasn’t awful but it wasn’t model-pretty either and it wasn’t like she had anything else to recommend her. Aside from her limp hair and no-color eyes, she was too short—barely five foot four—and much too round. The loose cotton dress that hid her figure did her no favors but she wasn’t about to go out and buy anything that hugged her curves. She’d tried that once in college and the result had been disastrous. As a matter of fact, the last time she’d had this trouble with the weird internal heat waves had been back in college, too. Right before—but Emily pushed that thought away hurriedly. It was a memory she preferred to leave buried. Her sister Anna was thirty-three, a size six and a successful attorney. She was married to a heart surgeon who was both handsome and kind and they had just produced a perfectly beautiful set of twins with big blue eyes that Emily adored. She loved her sister too, despite the fact that it seemed like Anna had gone down the “success checklist” of life and checked off every single box in her relentless march to perfection. I wake in the night. I am thirsty. I go to the bathroom and run some water from the sink into my favorite blue mug. As I raise it to my lips, I look in the mirror and see that I am naked. Naked and pale in the moonlight streaming through the window. My belly ripples—ripples like a white pond with some unseen predator just below the surface of the water. And then the pains start—the sharp, blinding agony right behind my naval. Emily shuddered and tried to push the nightmarish image away. But the words died in her throat. The eyes staring back at her from the bathroom mirror were no longer nothing-colored. Instead they were a pure, clear gold. Not amber or light brown—brilliant, burnished gold. And her hair—it was changing color too. From dishwater blonde it went to Bible black. 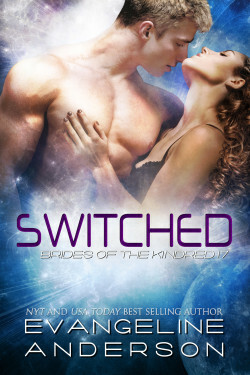 The change was sudden and complete—as though someone had dumped a bucket of midnight over her head. A stranger stared back at her from the mirror. A stranger…an alien…the other. Emily gave a soft, breathless scream and backed away from her radically altered reflection. She squeezed her eyes tightly shut and dug her fingernails into her palms. No…nonono…I’m not seeing this. It’s an illusion—a hallucination brought on by stress. I’m fine. I’ll be fine…finefinefinefinefine! With a low moan, she forced herself to open her eyes. They were no-color again. And her hair was the same limp, dishwater blonde it had always been, no matter how many products she used to give it body. If only she could make herself believe it. She backed away, never taking her eyes off the mirror, fearful lest she see herself change again. But the image stayed the same as she fumbled behind her for the doorknob and let herself out. Emily took a deep, sobbing breath and leaned against the bathroom door, letting the chilly wind dry her tears. Everything was all right. She was fine. Rivin Tragar of the Verrak stared at his target through narrowed eyes. She appeared to be crying. So why hadn’t he done it yet? Tragar had no answer to the question. Well no—that wasn’t exactly true, he corrected himself. 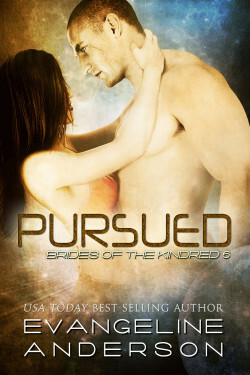 He hadn’t killed her yet because he wanted to know what she was capable of. When Two had convinced him to take the contract, he had hinted darkly of a female with hidden depths—a monster buried just below the surface that might burst through her mild exterior and leave a trail of blood and destruction in her path at any moment. A monster like that was right up Tragar’s alley. He preferred to take targets who were dangerous and could give him a good fight. Even better if innocent lives might be at stake. In fact, when he’d seen that this female—this Emily Brooks—worked with younglings, he’d almost taken her out from a distance at once, even though it wasn’t his usual way. Better to break his personal protocol than risk young, innocent lives. But he’d delayed—stilling the itchy trigger finger on his sonic rifle for two reasons. The first was he preferred a fair fight. Unlike some of the other Verrak, he didn’t usually take targets at a distance. He took them somewhere safe and secure and let them choose their weapon and fight him face to face—let them die with honor. No matter what heinous crimes they had committed, everyone deserved dignity in death. That was Tragar’s belief, anyway. The second reason he didn’t shoot was that he saw the way Emily interacted with the younglings. During his first observation one of them had fallen, scraping a chubby knee on the hard walkway that ran between the school buildings. The young one had run crying to Emily, her knee seeping blood, her eyes awash with tears. Here we go… Tragar’s finger had tightened on the trigger. Surely the sight of blood would bring out the ravening monster Two had sworn lurked in the innocent looking girl’s breast. He was ready to shoot her down the moment she went for the youngling’s throat. But instead of going feral—becoming a thing of teeth and claws and appetite—the girl he had been sent to kill gathered the youngling into her arms. She dried the little female’s tears and said some words of consolation—too low for Tragar to understand though he had been studying her language for days now. The little female had quieted, obviously feeling safe and comforted in the arms of Tragar’s target, who still showed no signs of attacking. Gradually, his finger had loosened on the trigger and then he had put down the rifle altogether and just watched. No! Tragar had pushed the memory away. He took a deep breath. I do not allow my past to dictate my present or my future. There is no then. There is only here and now. There is only the target. It was a Verrak saying—a necessary reminder since most of those in his elite brotherhood came from a background of loss and sorrow. But though he repeated it to himself over and over, he still hadn’t been able to kill Emily Brooks. Not then and not now, ten days later. He studied her—watching her wipe at her eyes with a hand that trembled. Why was she crying? What had agitated her so? For a moment he imagined holding her against him and asking her what was wrong. It was foolish of course—a fantasy that could never come true. But there was no denying she would be pleasant to hold. A burning sensation in his left arm brought him back to reality. It was the narsh—the mark of the Verrak—given to him when he first passed the trials and took the oath. 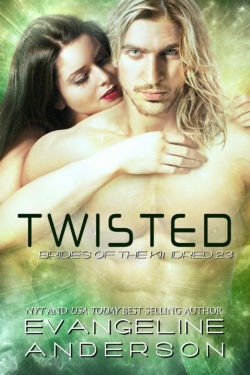 Tragar looked down at the thick black lines criss-crossing his muscular arm from shoulder to wrist. The narsh burned to remind him that he had a job outstanding—a commission as yet undone. Tragar ignored it. He was used to doing so. He almost never took jobs with time limits on them, preferring to take his time and get every detail exactly right. I just need to know her, he argued with himself. Need to find out what’s so special—what makes her dangerous before I pull the trigger. And so he watched…and waited. Soon, he would kill her soon.